A few days ago, Dietrich Mateschitz of Red Bull bought back Gerhard Berger's 50% stake in Scuderia Toro Rosso. The deal was amicable, apparently, and, contrary to initial expectations, Berger will no longer be involved in the team. Naturally, there has been much speculation as to what is going on and what Mateschitz's intentions might be. I, too, have been pondering the events and my conclusion must be that the future for STR does not look bright. The most common guess that RBR wants Ferrari engines again seems unlikely to me; there are easier ways to arrange that and the Renault engine has been improving anyway. Then there is the possibility that Mateschitz wants to sell the team as a single entity, without the complication of Berger's share to consider. The theory goes that a buyer has been found but any deal would not include Berger's continued tenure as team manager. This is possible but also looks doubtful to me - any buy-out would have to be before the 2009 season commences (2010 is too far away and would mean that STR would still have to find funding for the coming season). If a sale is that imminent, there seems little point in keeping it so secret at this stage. I think the answer may lie in the impossibility of selling a customer car team as long as the regulations remain as they are. No one is going to buy the team until the customer car rules are changed so that STR has a future beyond 2009 and, although there is muttering in FOTA that this might happen, nothing concrete has been achieved as yet. Mateschitz is faced with the prospect of having a team that cannot race in F1, therefore. RBR remains his prime consideration and STR becomes increasingly a millstone around his neck, as Honda found with Super Aguri earlier this year. We know that STR has insufficient funding to compete in 2009 and is having to consider pay drivers as a result; Berger is unwilling to commit any more of his own money into a team that may have nowhere to race in 2010. Only additional cash from Red Bull would ensure STR's survival through next season and, like Berger, Mateschitz may be unwilling to pour money into a team that may have no future. RBR already has what many consider to have been STR's greatest asset of the season just ended: Sebastian Vettel. STR has no drivers under contract as yet and, if Mateschitz were considering cutting his losses and disbanding the team, now would be the time to do it. The departure of Berger begins to look like preparation for the axe in this scenario, particularly when it is considered that no replacements for team manager have been rumored, let alone announced. It would be an enormous blow for F1 fans if this is indeed what Mateschitz is thinking. STR has gained huge popularity through the exploits of Vettel and many remember that the team was once everyman's favorite underdog, the much-mourned Minardi. If the team disappears, another link with F1's past will have disappeared. But, for Bernie Ecclestone, the demise of STR would be a disaster; he is said to be contracted to supply at least 20 cars for each GP and this would bring the numbers on the grid down to 18. There is a vague possibility that Mateschitz hopes to put pressure on Bernie to prop up the team with funding from his own resources but I cannot believe that would succeed - Bernie does not respond well to such inducements. He would be more likely to brazen it out with promises of new teams entering F1 in the future. So Mateschitz may be contemplating the end of the team before the new season starts. There would be a tidal wave of protest over such a move but greater teams have disappeared in the past and the sport soon forgets. Vettel would still be there, of course, and this would be some compensation for the fans. Mateschitz would be rid of an extra worry that he really does not need and the buy-out of Berger's shares would be a reasonable expense to avoid the cost of keeping the team going. Dietrich Mateschitz is a businessman in the end; that is clearly demonstrated in his creation of the Red Bull empire. Although he loves F1, the bottom line must be that a worthwhile return is seen on his investment in the sport. He already has that in RBR and STR becomes an unnecessary addition, now that it has proved ineffective in its original intent, introducing new talent into the sport. 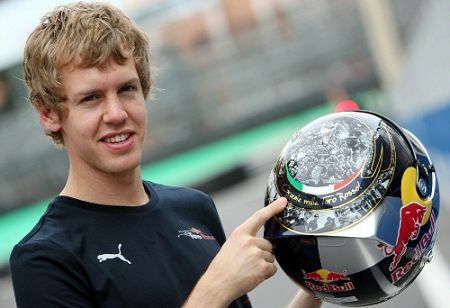 Its greatest find, Vettel, was really BMW's. If I am right, we are about to hear of STR's withdrawal from the 2009 season. All our speculation as to the drivers to be hired by the team become worthless as a result and poor Sebastien Bourdais will have to take up one of his job offers in the States. I can only hope that Mateschitz is much cleverer than I thought and this is just the first stage in a brilliant scheme for STR's survival. It doesn't look like it, however. Interesting article, with some good thoughts on the motivations behind Mateschitz's move. But when you say, "no replacements for team manager have been rumored, let alone announced," is that not because Franz Tost is remaining as team manager? I'm assuming he is, because I haven't seen this mentioned in any of the news stories I've read. I have to admit it had not occurred to me that Dietrich Mateschitz was going to pull STR out at this point, largely because it's producing good value for the team (or at least better value than Red Bull itself). Though it must be said that without the Concorde Agreement being seen as in place on the FIA side, there is no proper contractual bar to it. I don't think Bernie will want it to happen, and he has propped up teams in the past through loans-with-interest (notably Jordan and - ironically - Minardi). Come to think of it, if the loan was large enough (handy if the divorce courts decide against him in the splitting of finances) and the interest rate was high enough, then it might even help him meet his obligations to CVC. Doctorvee: Good point - it is possible that Mateschitz intends to run the team with Tost still in place. But where is it going? There seems no future for it beyond 2009 and he would save himself a lot of money by disbanding it now rather than in a year's time. As Berger has pointed out, it has little to look forward to even next year - with a tight budget and pay drivers, it cannot hope to produce such spectacular results as it enjoyed this season. It seems good business sense to end it now, even though I hate to say it and will mourn its passing with everyone else. Alianora: There is an outside chance that Bernie would lend money to ensure the team's survival though next year, it's true. But he does not like investments that have no real hope of paying off and I'm sure he would be aware of STR's poor prospects just as we are. I find it hard to believe that Bernie would put money into the team just to keep it going for one more year. And, if it's a loan, Mateschitz would end up having to pay it back anyway. So it would not help him at all in reality. Clive - why would Mateschitz pay Berger for his 50% stake only to wind up the company? It doesn't make sense does it. I may be wrong but it's a possibility that I haven't seen considered elsewhere. Instead, commentators are coming up with absurd solutions that make even less sense than my suggestion. I agree that makes the most sense, John but will it happen? To be honest, I don't think so. Too much depends on Sir Frank Williams and he is fighting for the survival of his own team. My guess is that either Berger had a clause in his buy in contract that allowed him a get out of jail free card if custmer cars were not allowed or Mateschitz would rather take the financial hit rather than have the bad publicity asscociated with Berger making a loss and the possible repercussions of that.